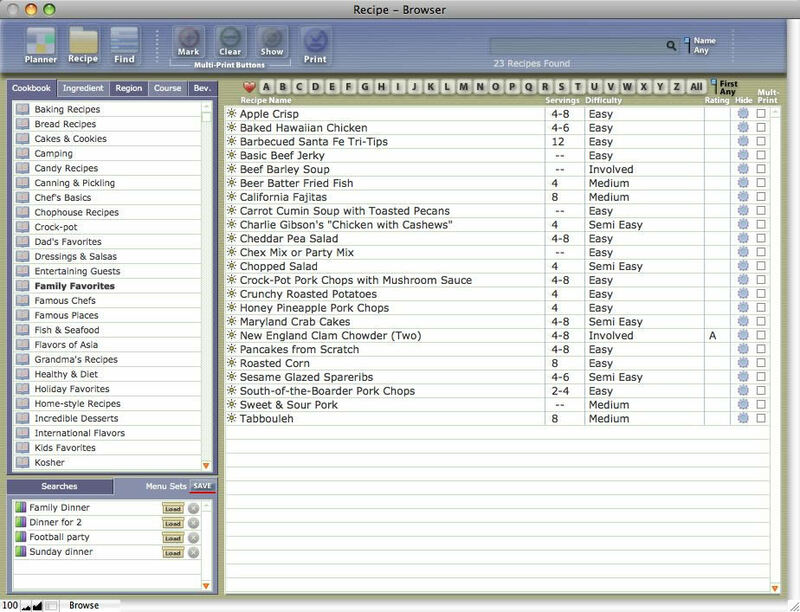 Recipe Organizer with Calendar Meal Planning, Market List and Mac-PC exchange. CookWare Deluxe makes collecting and organizing your recipes really simple. Dragging and dropping a recipe directly into it makes adding recipes really fast. It's easy to get organized using its built-in Calendar to plan your meals. Create a Shopping list by marking needed items, add non-food items, mark the Store, Department/Aisle of where you want to buy the items. A single click will exchange recipes with any Mac or PC CookWare Deluxe User.